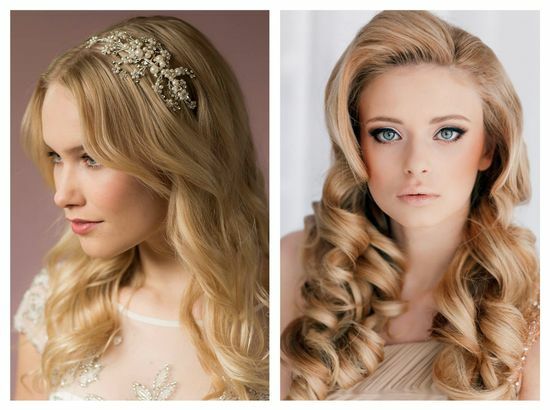 The choice of a hairdress depends on many factors – lengths, density and character of hair, a face form, style and a style of a dress and a veil. 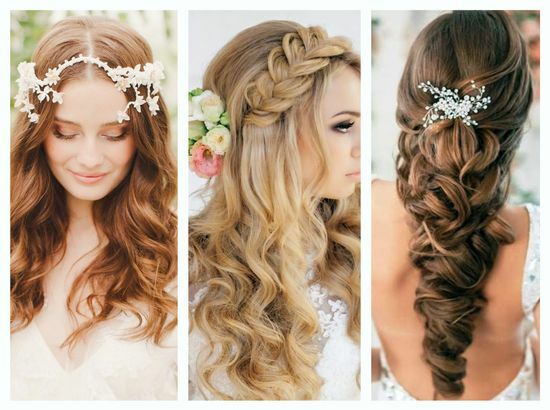 Beautiful long hair — this decoration of any girl. And for a hairdress of the bride it is the best option, after all on long hair simply fantastically beautiful laying turns out. In wedding fashion of 2015 the priority to classical and bohemian style in evening laying is noted. 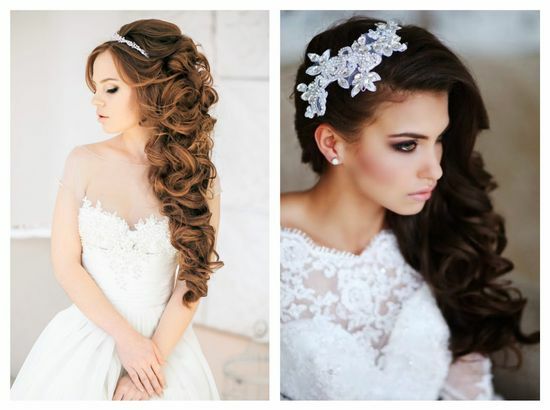 Therefore in 2015 stylists advise long-haired brides to choose laying on the basis of the dismissed ringlets and a hairdress with openwork braids. 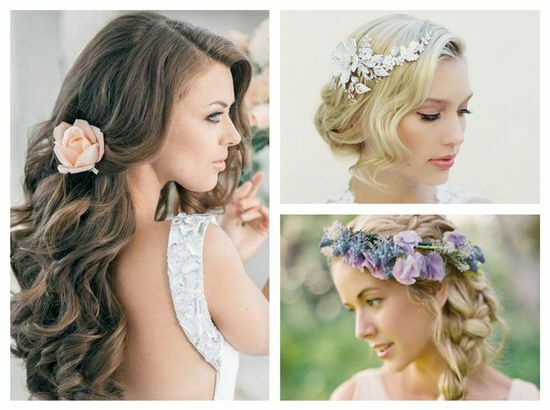 Also long hair are recommended to be decorated with stylish hairpins and accessories. 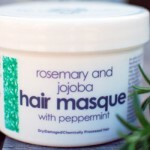 Simply flowing hair is also welcomed by fashionable designers this year. 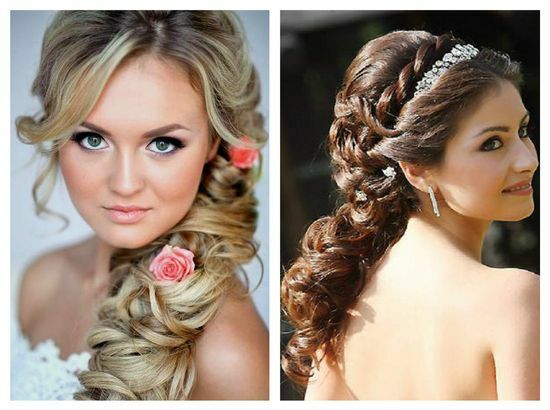 After all wedding hairdresses with a flowing hair look always perfectly and touchingly. 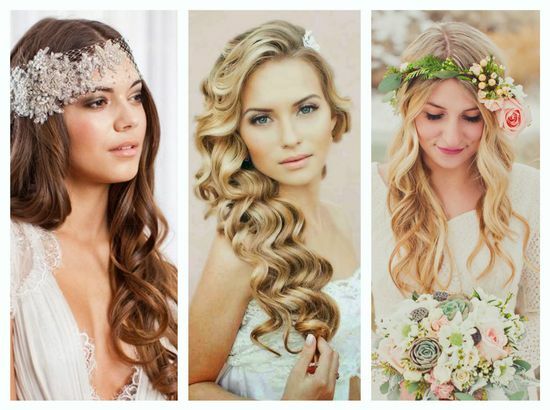 Gentle curls also will approach any wedding dress. Besides, these magnificent ringlets will approach not only to the bride – such hairdress is universal, that is is pertinent on any action: a beach party or reception, walk on the city or a campaign in theater. Especially well ringlets look on long hair and hair of average length. The main thing – to avoid deliberately "chemical" ringlets which look unnaturally and only spoil a romantic image of the bride. But curled large ringlets, decorated with hairpins or flowers, will look surprisingly! Braids — the invariable classics remaining in fashion for many years. 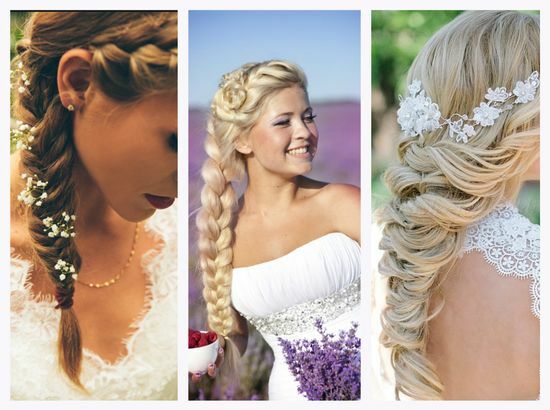 Hairdresses with braids – "hit" and this season. In 2015 still in fashion openwork braids which have to seem slightly negligent. 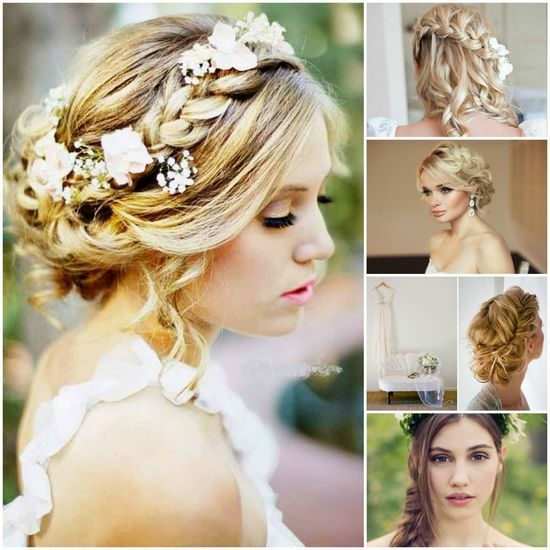 The braids braided on one party or the heads which are wrapped up around, plaits, semipryadny and shestipryadny braids – all this interesting wedding options. Very beautifully look, the zhgutik interwoven into braids and tapes in tone to a dress, fresh flowers and small hairpins. However, and deliberate simplicity too is quite pertinent, especially for minimalist style. Such wedding hairdress though is carried out easily, but looks very effectively. And when it is decorated a rim with artificial flowers, the hairdress takes rather festive form.